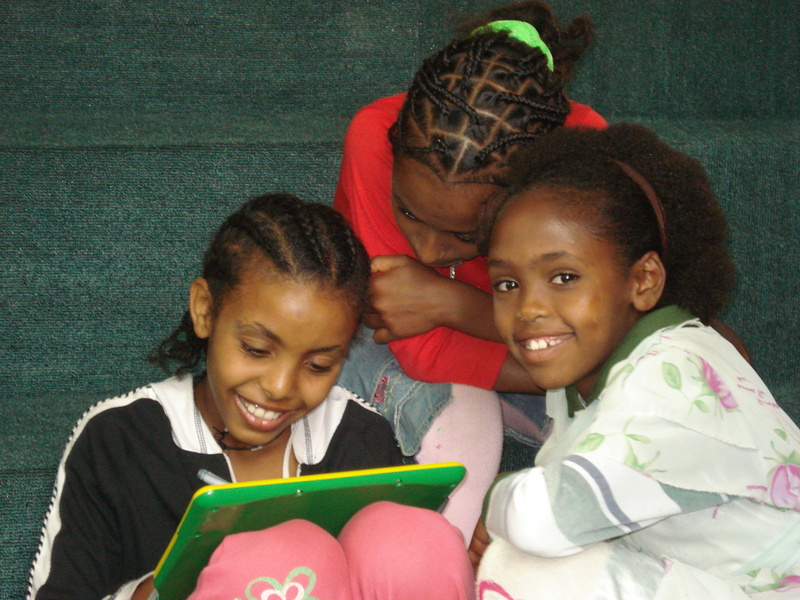 American Association of University Women Sponsor Fundraising Event in D.C.
AAUW of Virginia in partnership with the Tigray Development Association presents, “Literacy: the Key to Development in Ethiopia>” a fundraising event for the Segenat Children and Youth Library. 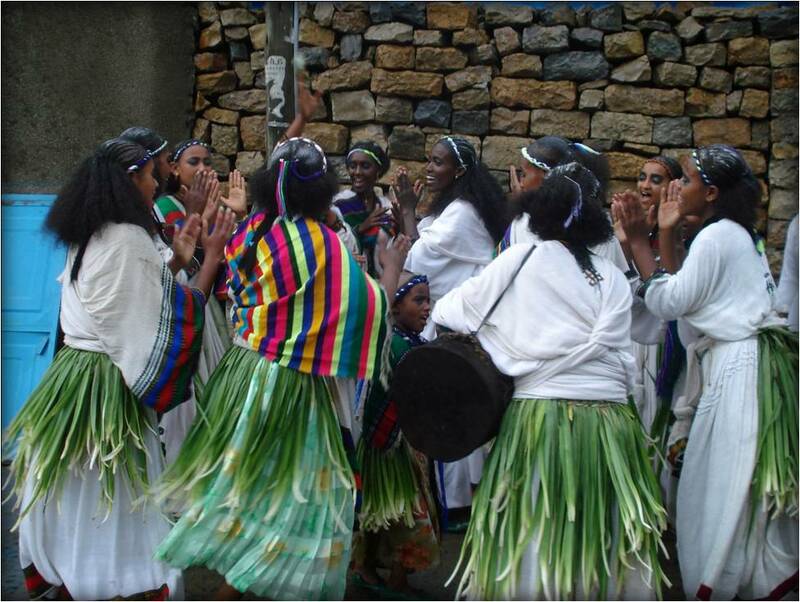 The program will be held at the Ethiopian Embassy in Washington D.C. on Sunday, September 25th, at 2:00 p.m.
Amid the celebration of Ashenda one year ago, The Segenat Children and Youth Library was dedicated. It is time to recap all of the major accomplishments and milestones that have occurred in this past year. Prior to the opening of the library, The Segenat Children and Youth Library served as host for training for staff from the Segenat, and staff from the following school libraries: Myliham, Debri, and Fre Sewat. A host of international volunteers served as trainers including Athena Michael from John Wiley Publishers, Erin Meyer from the University of Denver, Dr. Maria Briones from Sharjah Higher College of Technology in the UAE, Janet Lee from Regis University in Denver, and Tewolde Tesfay from the University of Mekelle. 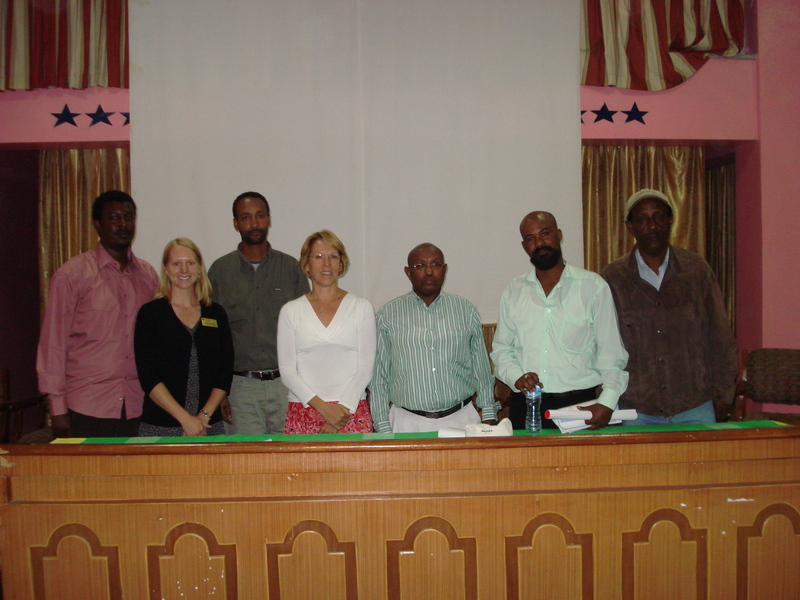 A brilliant lineup of librarians and educators came together to discuss children’s literature in Tigray. The panel organized by Ato Yohannes Gebregeorgis, was held as part of the Tigray Libraries and Literacy Development Project and was held prior to the opening of the Tigray Children’s Book Week. The panel presentation served as an opportunity for members of the community to be heard as well as to receive information. A common theme among the presenters and the audience, over 100 in attendance, was the importance of literature and reading materials in the mother tongue. Presenters and audience members alike shared personal stories of reading experiences that they had in childhood providing anecdotal evidence to prescribed theories. There were many noted authors in the audience as well as students from Mekelle University. The panel discussion was a great kick off to Tigray Children’s Book Week and panelists and audience members anticipate more follow up discussions in the future. The library dedication was a grand affair. 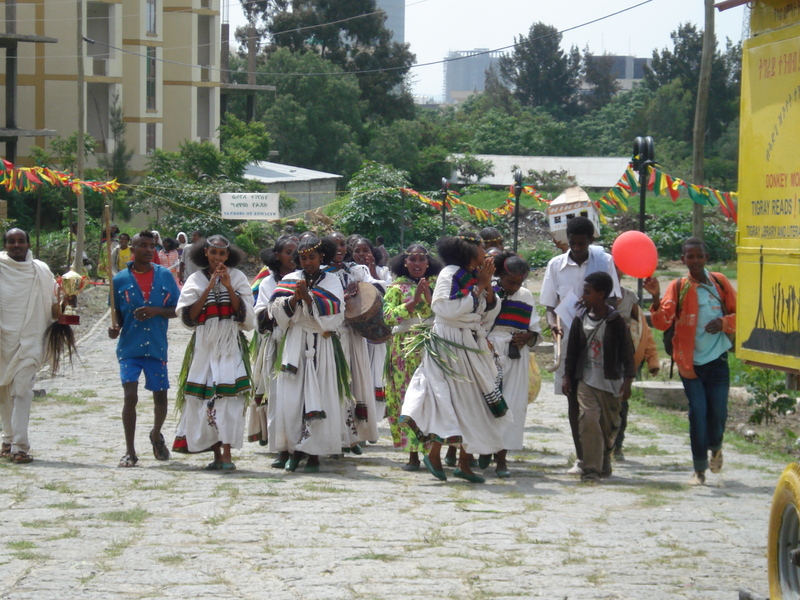 Over 400 men, women, and children attended the inauguration and dedication of the Segenat Children and Youth Library. Among the noted dignitaries were Rwandan Ambassador to Ethiopia, Professor Joseph Nsengimana; Ato Abraha Kiros, Special Education Advisor to the President of the Regional Government of Tigray; Dr. Solomon Inqui, retired statesman and author; and Ato Teklawoyni from the office of the City of Mekelle. Also among the audience were current Peace Corps Volunteers, Nick Strnad, Shelley McCreery, and Danielle Hoekwater as well as an additional seven or more volunteers, primarily from the northern region. The Peace Corps office in Addis Ababa also sent a contingent of administrators to the dedication as well. Ato Yohannes announced that Dr. Solomon Inqui has been named the patron of the Segenat library for all of his past work in government and education. He has been an outstanding role model for all of the children who utilize the library and a dedicated supporter throughout the year. Each member of the audience received a copy of “Tirhas Celebrates Ashenda,” paid for by the Cherry Creek Rotary in memory of Dr. Thomas Hooyman, a colleague from Regis University in Denver. Barbara Baker, sister of Dr. Thomas Hooyman, has been an ardent supporter of this project. None of this could have happened without her support and the Dr. Thomas Hooyman Youth Reader Center is fitting tribute to her brother. All of the Ashenda girls who came to the library received a free copy of “Tirhas Celebrates Ashenda.” Word traveled fast and group after group came to receive this very beautiful books. Over 3,000 copies of this book were distributed. The Debri Ashenda girls come to pick up their copies of "Tirhas Celebrates Ashenda"
The first day that the library was officially opened, 104 children registered: 38 girls and 66 boys. This was actually a high number of girls when one considers the distractions that the girls had with the Ashenda festival. The children initially seemed to favor the reading nook, but soon spread themselves throughout the library. The Tigrigna collection was heavily used. Three star readers enjoy the reading nook. 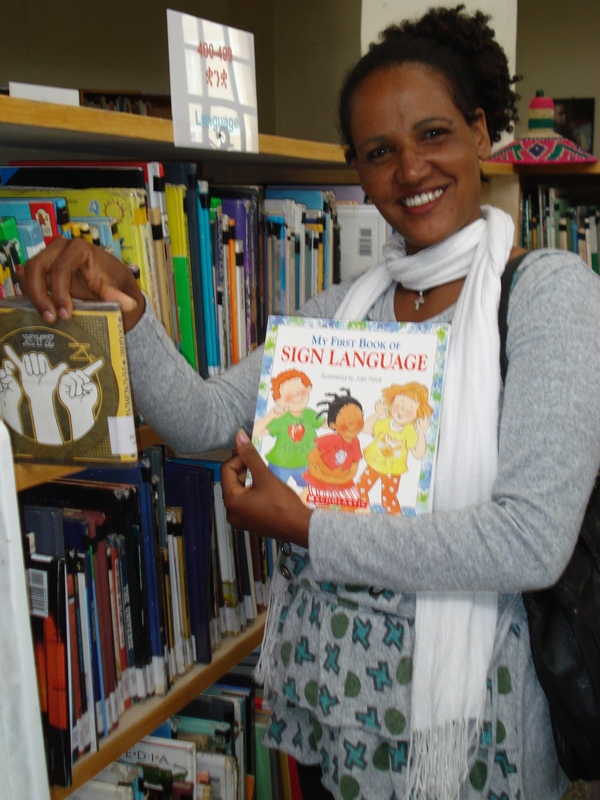 Upon the recommendation of her son, an Ethiopian TV reporter produced a special on the Segenat Children and Youth Library. The 30 minute program was aired nationwide and garnered much attention. The Saturday following the broadcast the Segenat received 760 children and the following Saturday saw over 1,000. 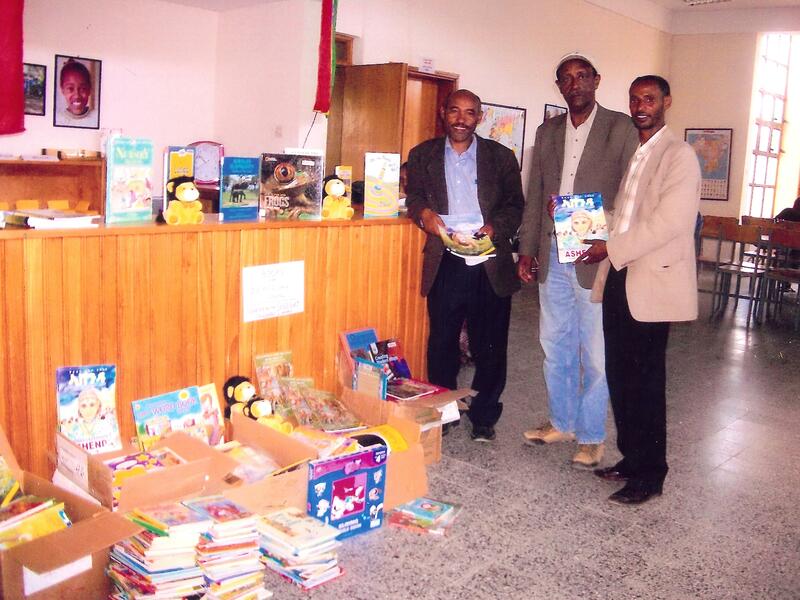 The Segenat provided 450 books to Zeroroah Elementary School in rural Tigray Region. Zeroroah is a project of the Enderta Regional Development Association, a U.S. regional organization. Its latest project was to replace a traditional “Das” school with a solid cinder block structure. 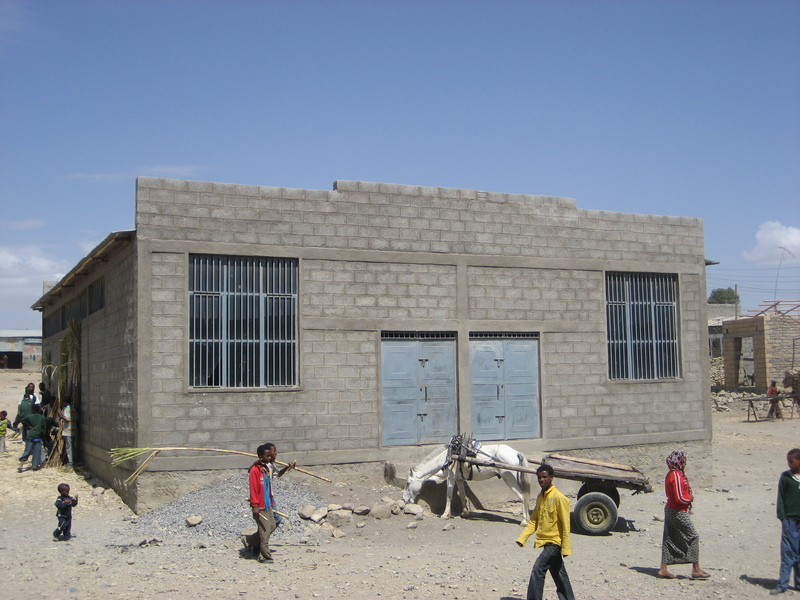 The transformation was amazing and will have a great impact on the education of the children in this very rural area of Ethiopia. The Segenat Children and Youth Library was very pleased to be able to contribute in this very small way. 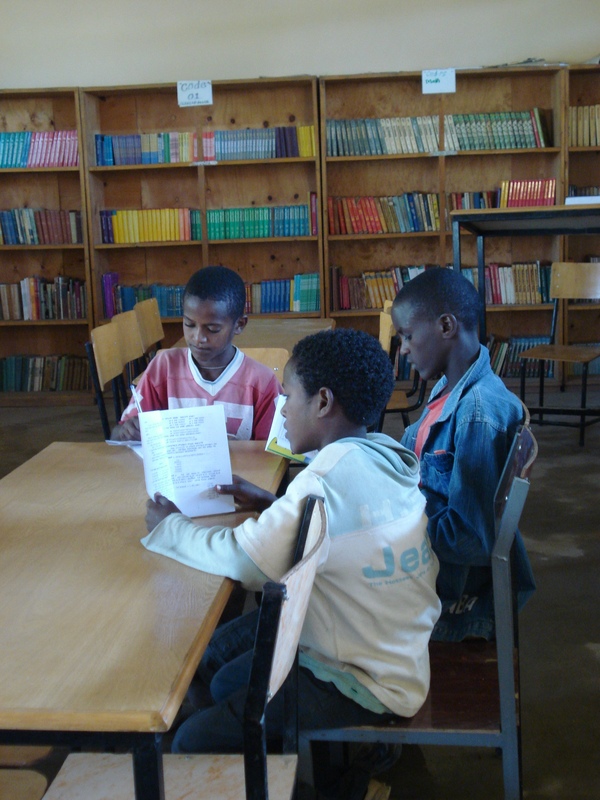 Ato Yohannes is working with the town of Adi Gudom in establishing the Kedamay Weyane Children and Youth Library. A significant fundraising drive was conducted by the citizens for the purposes of improved health care facilities, transportation, and for the library. City officials have provided a building and will staff the new library. The Segenat provided 8000+ books and furniture worth 90,000 Birr. Peace Corps Volunteer Bryan Cramer has written a successful grant that will assist with providing computers and other essentials. A very successful seminar and workshop on “Children’s Books Writers & Illustrators” was held in Addis Ababa on May 17th and 18th and in Mekelle on May 20th. The purpose of the seminar was to bring children’s writers and illustrators from different parts of the world together, to illuminate the different traditions and ways of working, as well as to inspire and learn from each other. The seminar was a collaboration between The International Library (Sweden), Bokspindeln (Sweden) and Sololia Publishing/Tigray Libraries and Literacy Development Project (Ethiopia) with funding from The Swedish Institute. 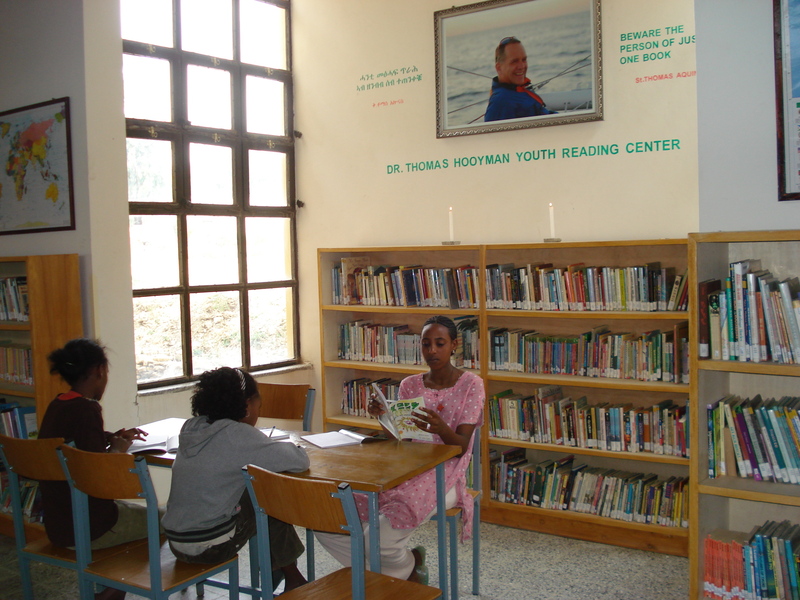 Participants in Mekelle had an opportunity to visit the highly acclaimed Segenat Children and Youth Library and sung its praises. Dr. Solomon Inquai, Patron of the Segenat Children and Youth Library celebrated his 80th birthday at a public ceremony held at the Milano Hotel. Dr. Solomon is a prominent Ethiopian educator, statesman, and writer. Dr Solomon has recently published a biography of 14 Jeganu (heroes) of the revolutionary struggle. It was announced during the 80th anniversary celebration that a foundation will be established in his honor, a foundation that would support young writers in publishing their work, a cause that Dr. Solomon has supported enthusiastically with time and personal finances. Ato Yohannes has also received several honors this past year. Out of 125,000 alumni from graduate programs at the University of Texas at Austin, Yohannes Gebregeorgis was selected as one of one hundred alumni profiled in UT’s “Changing the World: Stories Celebrating 100 years of Graduate Education at the University of Texas at Austin.” As the fifth person profiled in this title, Yohannes was joined by fellow librarian and First Lady Laura Bush; acclaimed novelist and Nobel Prize winner J.M. Coetzee; former Colorado Governor Bill Owens; and former Secretary of State James Baker. 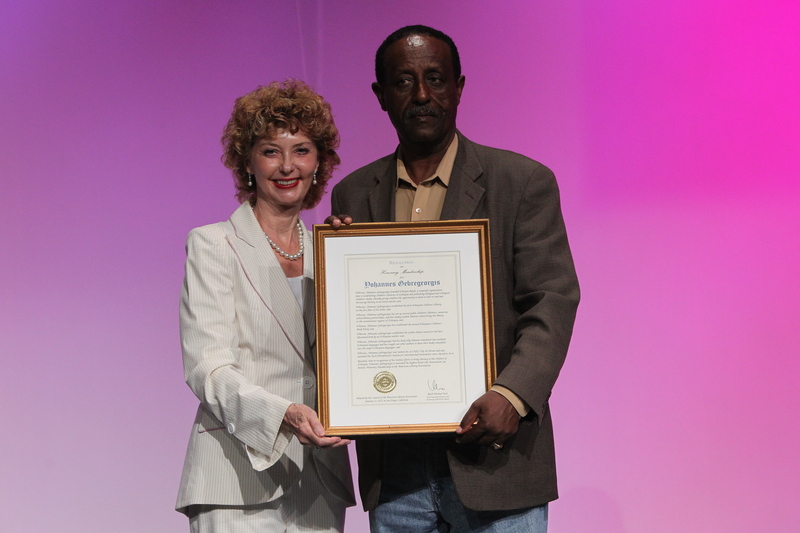 Ato Yohannes was presented with Honorary Membership to the American Library Association at its annual conference in New Orleans in June. Honorary Membership is considered to be ALA’s highest honor that can be bestowed on an individual. Honorary membership may be conferred on a living citizen of any country whose contribution to librarianship or a closely related field is so outstanding that it is of lasting importance to the advancement of the whole field of library service. 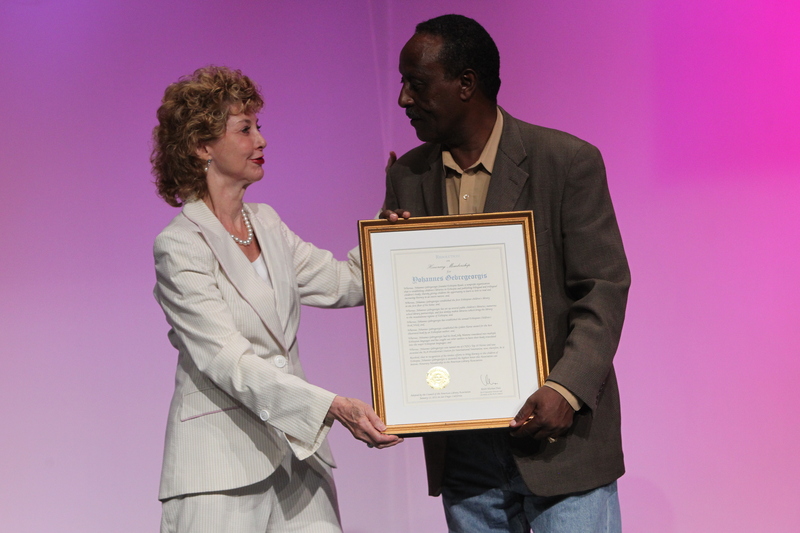 This great honor was given in recognition for his work in establishing children’s libraries in Ethiopia and publishing bilingual and trilingual children’s books, thereby providing the children an opportunity to learn the love of reading, and increasing literacy in an entire nation. 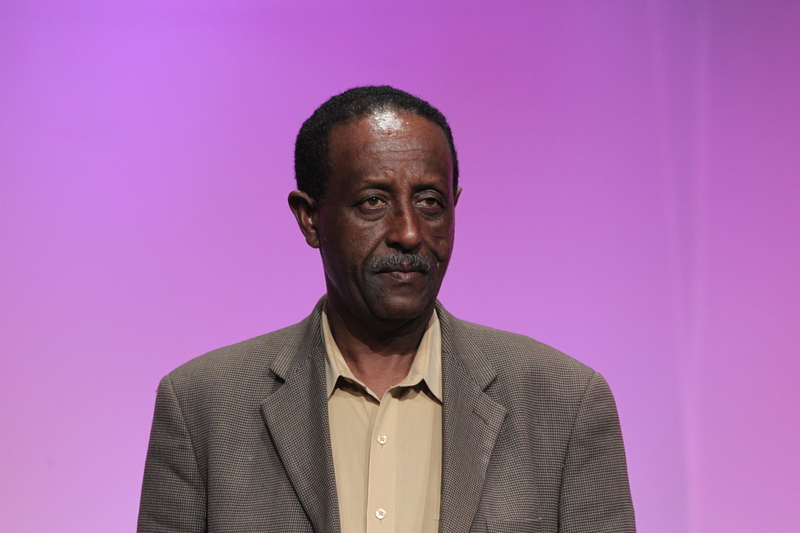 Yohannes Gebregeorgis was the closing speaker for the 8th Thessaloniki International Book Fair in Thessaloniki, Greece, which was held May 5 – 8, 2011. This international conference focused on “Books and Education: What Needs to Change.” The event was co-sponsored by National Book Centre of Greece (ΕΚΕΒΙ), Ministry of Culture, HELEXPO and the Panhellenic Federation of Publishers and Booksellers (PΟΕΒ) is billed as a “top-ranking event of commercial and cultural charcter for the sector of publishers, creators and book lovers.” Yohannes was one of twelve prominent writers and intellectuals from nine countries including: Tariq Ali (Pakistan-UK), Salwa Al Neimi (Syria), Gamal Ghitany (Egypt), David Grossman (Israel), Tuna Kiremitci (Turkey), Hoda Barakat (Lebanon), Sophie Bessie (Tunisia), Boualem Sansal (Algeria), Malek Chebel (Algeria), Bahaa Taher (Egypt) and Subhi Hadidi (Syria). He also spoke at the Bok & Bibliotek: Goteborg Book Fair in Goteborg Sweden in September 2010. He spoke about the many challenges facing children’s authors and publishers in Africa. 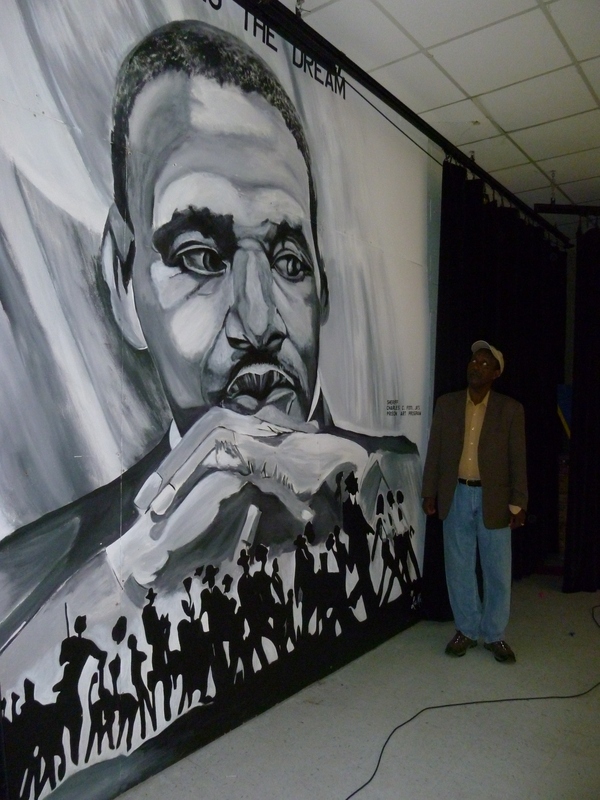 In conjunction with his award of the Honorary Membership to ALA, Yohannes presented at the Dr. Martin Luther King branch of the New Orleans Public Library, June 2011. Yohannes Gebregeorgis will read and sign his book “Tirhas Celebrates Ashenda: An Ethiopian Girl’s Festival” at the Martin Luther King Branch of the New Orleans Public Library on Friday, June 24th at 10:00 am. The event is in conjunction with Yohannes receving the award of Honorary Membership to the American Library Association later that same day. 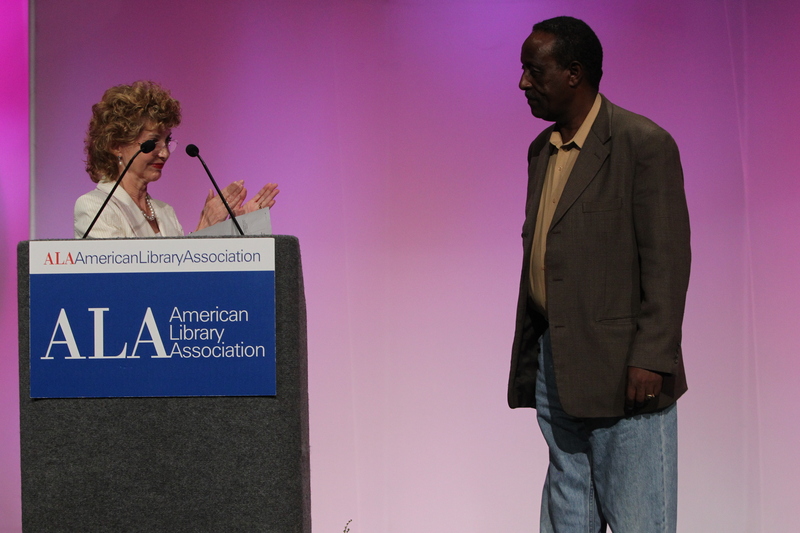 Honorary Membership is the highest award bestowed upon an individual by the American Library Association. We are expecting a new shipment of the beautiful book “Tirhas Celebrates Ashenda” mid-June. Quantities are limited. 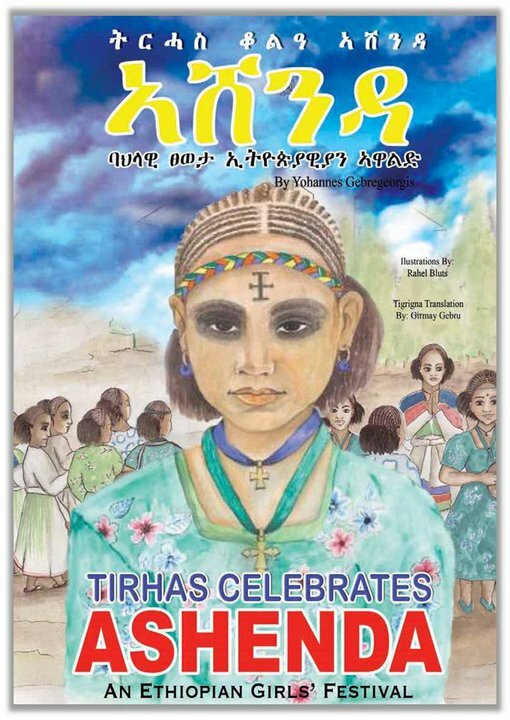 Written by Yohannes Gebregeorgis and beautifully illustrated by a local Mekelle artist, “Tirhas Celebrates Ashenda” is the story of a young girl preparing for her first Ashenda festival, an annual event celebrated in the Tigray Region. Please contact tigrayreads@yahoo.com for more information. 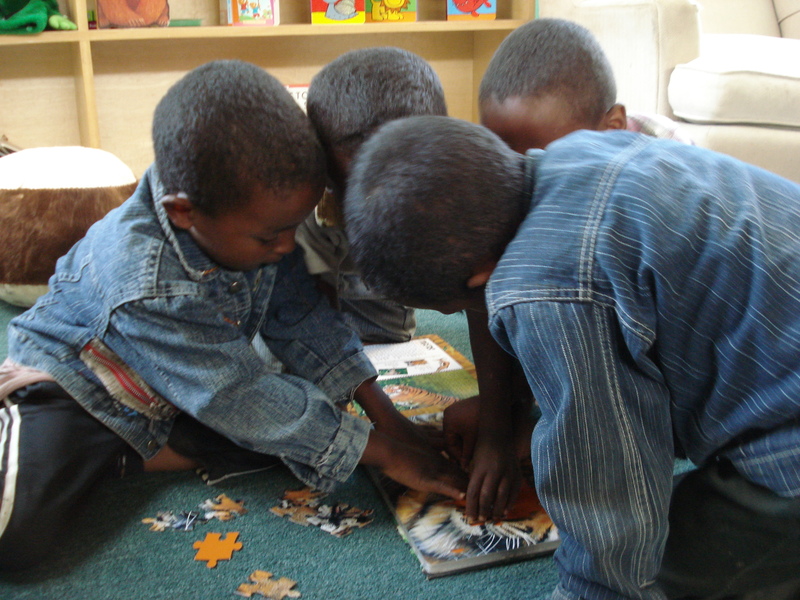 Lula and Regat read Tirhas Celebrates Ashenda at the dedication of the Segenat Children and Youth Library in Mekelle.